Born at Westbourne on 27 May 1904, son of Frederick Rhind and Eleanor Newcombe, he attended the University of Manitoba then taught at Gladstone School, Westbourne School, Ross School, Medora School, Solsgirth School (Principal, 1937-1940), Dominion City School (Principal, 1941-1943), and Rossburn School (Principal, 1943). 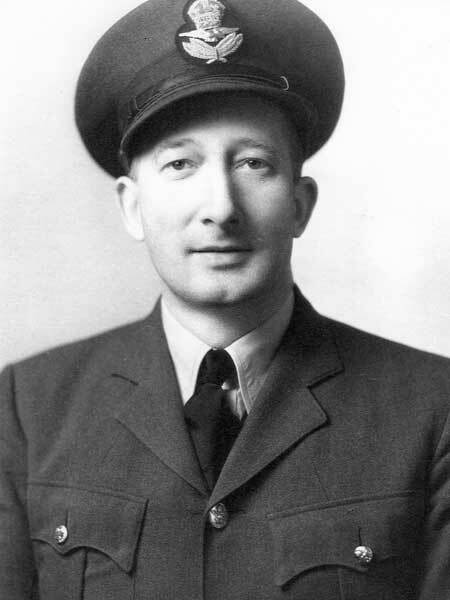 In late 1943, he enlisted in the Royal Canadian Air Force as an education officer, based in Quebec, Newfoundland, New Brunswick, and Nova Scotia. In 1946, he returned to Manitoba, enrolled in university and completed an MA degree the following year. He was Principal of Elkhorn School for one year (1946-1947). Appointed a Manitoba School Inspector in 1947, he was based at Swan River until 1955, then Portage la Prairie until 1969. He was Senior Inspector for the South Central Region until retirement in 1969. On 27 December 1933, he married Molly Doole and they had three children: Norma Rhind Effler, Barbara Rhind Harrison, and Robert Charles Rhind. He was a member of the Portage Rotary Club (President), Masons (Marquette Lodge), Portage Shrine Club, and Swan River Air Cadets (Commanding Officer). He served as Superintendent of the Swan River Sunday School, executive member of Trinity United Church, and Scout Master at Swan River. He was an avid hunter and sportsman. He died at Winnipeg on 2 May 1982 and was buried in the Westbourne Cemetery. Obituary, Winnipeg Free Press, 4 May 1982, page 47. We thank Norma Effler for providing additional information used here.